Is there a mod that gives infinite uses to Colony Incredi-Pak and recharge time 1 second and nothing else? And while you're at it,do you know if there is any mod that makes empires to not be pissed off if you use a planet buster? That's just all I want,a mod that gives infinite uses to Colony Incredi-Pak and recharge time 1 if possible and a anti-piss off planet buster,thanks. 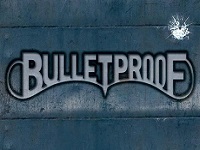 Last edited by Bulletproof on Tue Jul 19, 2016 8:27 am, edited 2 times in total. there is one for the colony incredi-pack. I've got it somewhere and I'm pretty sure I got it from the Sporedum archive here. I think it's the one titled 81217-unlimitedcolonypacks... but I'm not sure. I don't think it changes the recharge time but it does grant you infinite uses.